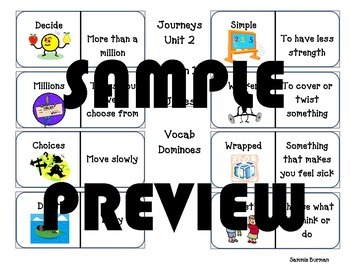 These vocabulary dominoes support the Journeys Curriculum. These dominoes go along with Lesson 9: How Chipmunk Got His Stripes! Dominoes available for other lessons and as bundles!